Guérande is a historical walled town near the sea, at the western edge of the Pays de la Loire region, on the edge of the marshes of Grande-Brière. It formed part of Brittany until 1941 but now falls within the Pays de la Loire region of France. 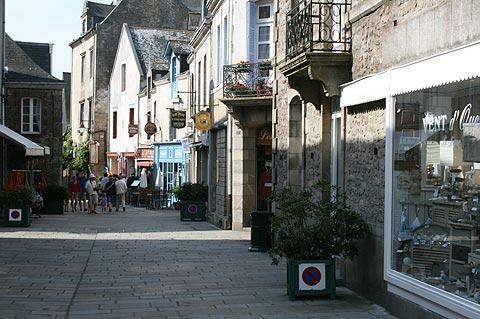 Guerande is a very attractive walled town, on a peninsula known as the Guerande peninsula. Although not strictly a peninsula, the town is surrounded by the Atlantic to the west, and the marshlands to the east, with the Loire River to the south and the Vilaine River to the North. The town has a medieval city that is completely enclosed by ramparts, strong defensive walls dating from the 15th century that are over one kilometre long and include six towers and four entrances. 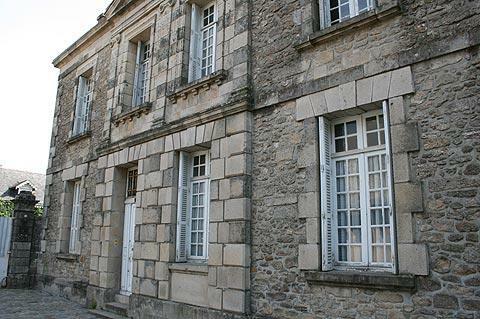 It is this 'intra-muros' (within the walls) part of Guerande that is of interest to visitors. 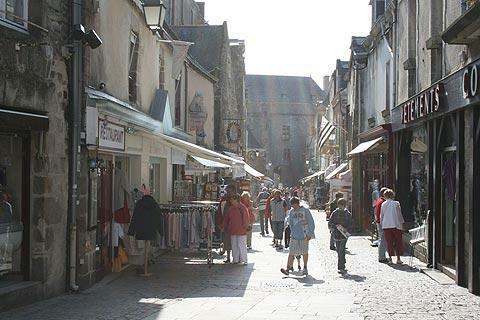 The historical town of Guerande is still accessed through the fortified gateways in the defensive walls. There are two large elaborately decorated stone gateways in the walls and two smaller side doors, added more recently. 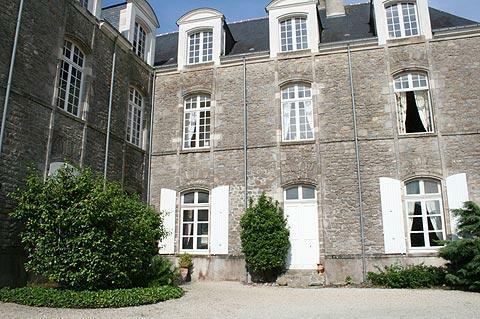 The grandest entrance is the Porte Saint-Michel, which also includes luxury accommodation for the governor of the town and is now Guarande Town Hall. Inside the walls a number of ancient cobbled streets and lots of attractive buildings radiate around the centre of the town eventually leading to the more open areas around the impressive Collegiate Church of Saint Aubin. 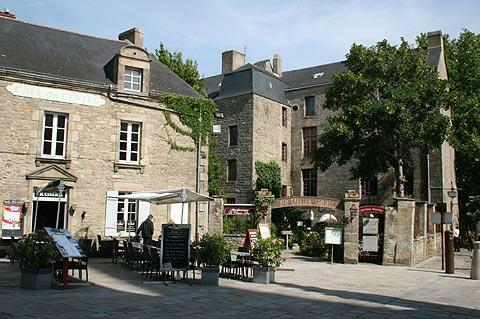 You will also find several bars and restaurants with outdoor eating areas here in the centre of Guerande. The collegiale church that you see dominating the town centre is largely a 14th century rebuilding of the church in the gothic style, although some parts of the earlier roman style church that previously stood here can still be seen, such as some columns and capital stones in the nave. Inside the church are some elaborately carved altars in the chapels and some very richly coloured stained glass windows added around the 16th century. 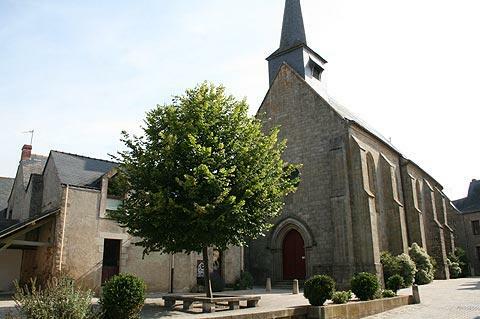 Elsewhere in Guerande you can see the Chapel Notre-Dame-la-Blanche: this is the oldest building in the town, having been built in the 13th century in the gothic style. There are also some grand 16th century townhouses, and lots of small 'gift' shops. There are also a few cafes near the centre. 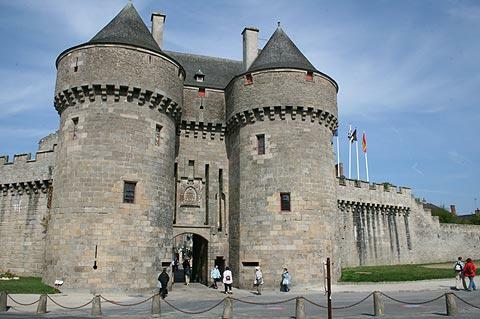 There are two museums in Guerande - the castle museum (in one of the fortified gateways) and a doll museum. 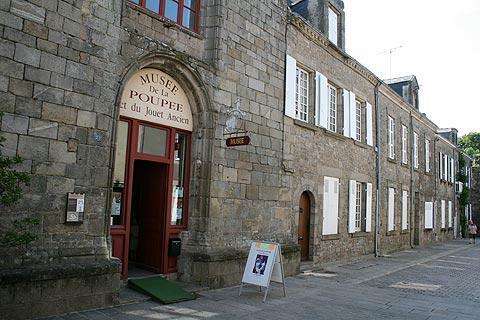 Be sure to find the doll museum even if you don't plan to go in, it is in the 16th century Chapelle Saint Jean, a building with an interesting history that functioned as a hospital for almost 350 years through the late medieval period. The area around Guerande is best known for the salt flats which have provided the town with several centuries of wealth. The salt drying pans can be seen on many of the river inlets in the region, where the salt is dried and harvested using traditional methods (the water is slowly channelled into increasingly shallow pools as the water evaporates and the salt becomes more concentrated, until the salt can be harvested in the very final pools). 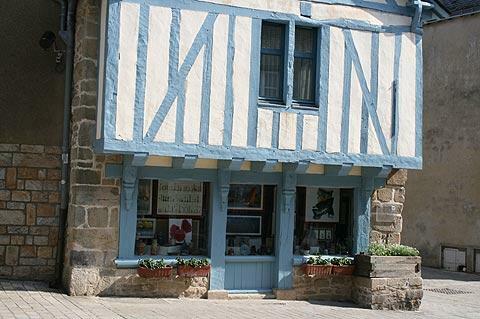 There is a 'salt museum' if you are interested in learning more about the importance of this industry to the history of Guerande. To the east of Guerande you can explore the canals and waterways, marshes and cottages, of the Briere Natural Regional Parc. If you would like to spend the afternoon at the beach after exploring the history of Guerance we suggest the resort of La Baule, an attractive beach and upmarket resort just a few kilometres from Guerande and part of the Cote d'Amour.